just wanted to stop in and say hello to you today! it is a beautiful sunny day in orange county... i got really terrible food poison last night and i've been in bed all afternoon. thankfully i have a very caring fiancee. when i walked into my craft room today the sun was shining brightly into the room and it was such a warm and lovely sight. so i grabbed my camera and took a few shots to share with you. 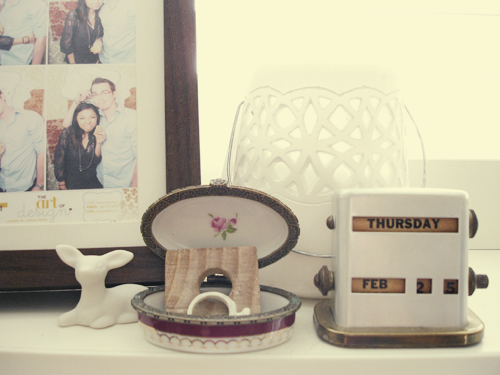 i'll probably do a full tour very soon, the room is quite different since posting a glimpse at decor8. anyway, i'll probably take tomorrow to rest so i will see you all on monday. and a certain package post will be coming so don't miss it! wishing you a delightful weekend dear friends. xo. I hope you feel better soon! Food poisoning is the worst! I just finished watching Emma yesterday, and I have to say, I LOVED it! Enjoy your weekend! Danni, your house is so gorgeous and inspiring. It has been a longgg dreary month here in Oklahoma, thanks for the sunshine to cheer me up! 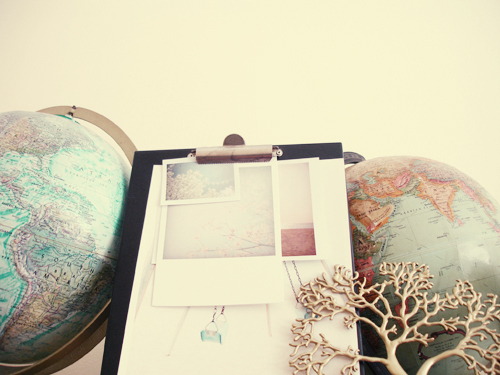 Love your blog, and all the pretty little pictures. 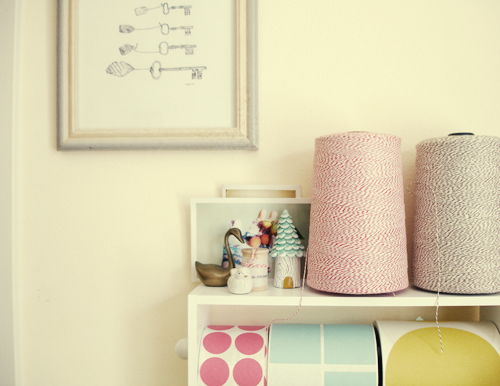 Your craft room is so pretty! Makes me feel smiley with all the sun and supplies! lovely pictures. i'm quite jealous of the warm weather you're having. as a native californian, i'm finding the rainy weather here in england a bit gloomy. also, thanks for the austen tip. it'll be a nice pick-me-up! oh goodness i hope you feel better! thanks for posting such cheerful pictures. they brightened my day! Those pictures are gorgeous. Love all the little details. Hope you feel better soon! Food poisoning is no fun. I would rather be nailed in a coffin than have food poisoning. seriously though. but you always look on the bright side - literally here! such gorgeous photos! Those are truly lovely pictures. I live in Culver City, CA and we have sun too today, lots and lots of sun. =D Sun that warms my heart and makes me glad inside. Your mini-calendar thing is adorable! Where did you get it?? Oh geez! Feel better sweetie! Emma was always my favorite by Austin. Thank goodness for the wonderful mean in each of our lives that help us when we're not feeling our best! 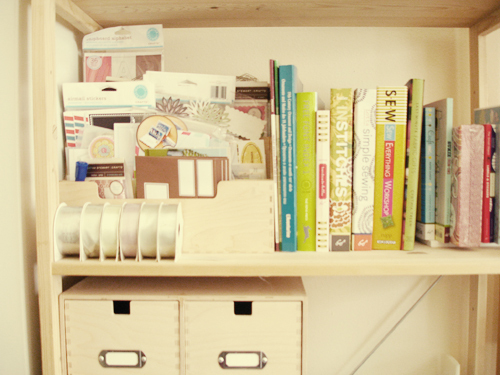 I hope you ditch the sickness quickly~I'm so excited to see more pictures of your craft room! That little nibble definitely has my attention. I just saw the new version of Emma this week and I just loved it. I meant I just saw this verson this week. My roommate bought it, and it is absolutely divine!!! Get well soon! I know this sounds bad, but I hope it is food poisoning and not the stomach bug going around here. It's and lasts much longer than food poisoning. What a lovely room you have. I am jealous btw of Jessica Jane's little house in your first picture! lol meant to say "its awful and lasts much longer"
wow, your room is so very neat danni! i would love a craft room in my house someday! hope you feel better!! we will miss you tomorrow! Hope you're feeling better! Food poisoning is the THE WORST. Your craft room however is THE BEST. So pretty and light and colorized so nicely. p.s. Thanks for tip on Emma. My sister was singing it's praises. Didnt know it was available to watch online. How handy! feel better, danni! and jane austen has a tendency to make all things better. i'm sick too with a bad flu so i've been bedridden as well. Again, get well soon and have a lovely weekend. Feel Better Soon! I do hope you feel much better tomorrow. Your workroom is absolute heaven! I enjoyed looking at all of your photos from your work area on your flikr acount! love your craft room and I'm sorry about the food poisoning. I'm not sure how i found your blog but i'm glad i did because I was right in the middle of changing my blog name, i heart the word oh in your name so I borrowed it : ). i read your post about your fiance losing his job. sorry to hear that. we (my family) just finished walking in those shoes but we are thankful that God provided in HIs time not ours. Jeremiah 29:11. I am now a follower. Please visit when you can : ). boo to food posioning, but yay to pretty work spaces! :). i can't wait until i truly have my own studio or work space to settle into. and oOoh circle labels! i've been looking for some. i have some that i send with each card sold to be used as envelope sealers... it would be nice to be able to get it in bulk. i found some on amazon and ecrater, but i would love to know where you got those featured in the photo - perhaps they are a better deal? So pretty! Sunshine is so wonderful and life-giving. Looking forward to the full tour!! Wonderful shots! I can't wait to see the full tour, as these shots are very intriguing!! Hope you get some rest and are feeling better in no time! Sorry to hear about the food poisoning :( hope your lovely BF takes care of you until you're good again. Hugs for you, take care! hey thats my drawing! you put it up, awesomeness. that calendar thing is pretty cool. Emma is one of my favorite Jane Austen novels. I thought the most recent Masterpiece Theater version (the one starring Romola Garai)was great! Absolutely loved it! oh my.. please feel better soon, danni! enjoy that darling emma miniseries.. isn't it just enchanting? ps. thank you for sharing your pretty, pretty pictures! Just found your blog..love it! Hope you feel better soon! oh sorry to hear that. I hope you doin ok now. Your photos are so nice. Really love it. Anyway, would you mind to exchange button/link with me? I love your pics they're so sweet! Totally jealous of the nice weather! I hope you feel better soon! get better soon! food poisoning is the absolute worst!!! your pictures brightened my morning here in rainy vancouver. i love the colors you have around. so cheery! food poisoning is the absolute worst! i hope you feel better really soon. your pictures are lovely as always. lovely images! and hope you're feeling better + have a good weekend! Thank you for telling me about Emma on PBS online. I watched Emma on TV the other day but missed the first part. lovely photos! the coloring is just perfect. feel better soon! i'm down with bronchitis, so i can sympathize... and i think i'll go watch emma, too! Danni, I loooove that series! I am so sorry you had to go through food poisoning....ick! Hope you feel better soon! oh no! i hope you feel better. emma will help. thanks for the tip, by the way, i hadn't heard. i am such the jane austen fan too! the keira knightly version of pride and prejudice is my very fave! Hope you are doing already well! beatiful images, "see" you on Monday, besos! Love these photos! Feel better! Take care then.I appreciate that even you are very sick , you still take some pics and write your blog, which I think I need to learn from.. Such a sweet blog!! You also have a really nice workplace!! Cannot wait for more photos!! And, I might add, your desk space makes ME feel better! Ugh - food poisoning! Get well soon, hun! You have a beautiful craft room, Danni! If I had your room, I'd for sure be more inspired! hello to you too from the sunshine state... feel better!